The pain of losing a baby: Sarah and Dean had 5 babies, and lost 4. This article deals with an account of infant loss that could be triggering for some readers. It’s a difficult topic to discuss, but it’s absolutely vital that we do. Premature babies who don’t make it, or end up with a disability, simply because they weren’t in the womb long enough. 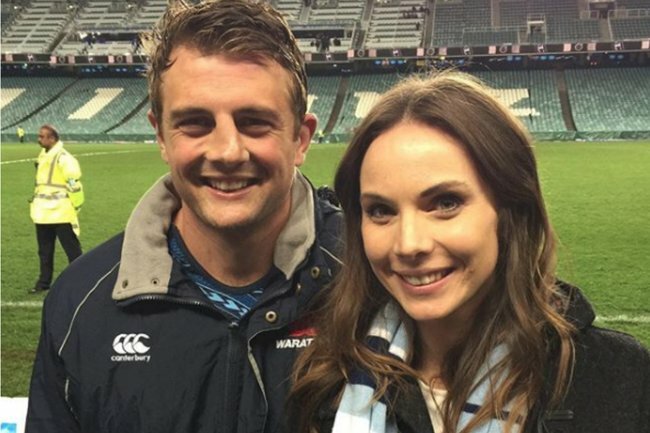 Retired Wallabies and NSW Waratahs player, Dean Mumm, and his wife Sarah, have been to hell and back. Dean and Sarah lost their daughter Sophie, son Henry, and twin girls Ella and Grace due to issues arising from preterm birth. After unfathomable loss, Dean and Sarah are sharing their story in the hope preterm birth is something we can talk about – so scientists can help prevent other families from going through the same anguish. “There is nothing more harrowing or deafening than the sound of silence after you’ve given birth,” says Sarah. “Instead of hearing your baby’s first cry, silence engulfs the whole room. I gave birth to my daughter Sophie preterm and she didn’t survive the labour. “Dean and I had been married about four or five months when we fell pregnant. It was my first pregnancy, and everything had been going well. We’d just had the 20-week scan and we were so excited to become first-time parents. But at 21 weeks, my waters broke. I’d been getting stomach cramps and I called Dean with the panicked realisation we might lose our baby. 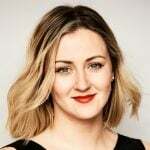 Sarah was diagnosed with ‘cervical weakness’, which means the cervix is prone to shortening and is unable to retain a pregnancy, which can cause miscarriage or preterm birth. Dean and Sarah said talking about it brought about its own difficulties as people struggled to react to such tragic news. After the loss of Sophie, the couple fell pregnant again around six months later. This time, Sarah was closely monitored by obstetricians. 28 weeks was one of the pregnancy milestones Sarah and Dean were working towards. However, at exactly 28 weeks, Sarah suffered from a placental bleed, and was once again rushed to hospital. Doctors tried to stop her going into labour but things had progressed too quickly. 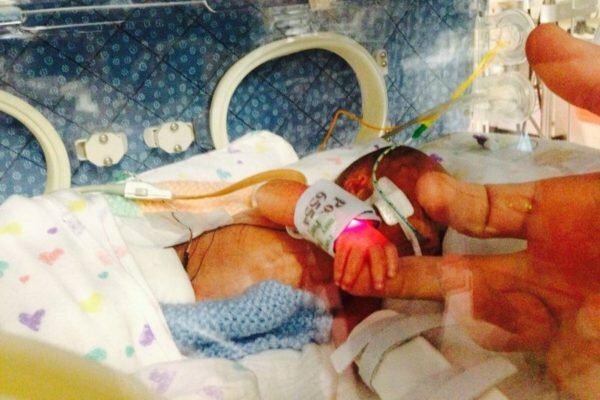 Baby Henry was born in January 2014 and was immediately whisked away from his parents, and put into an incubator. Dean and Sarah felt helpless as they watched as Henry got sicker and sicker. He’d contracted an infection during birth. At nine days old, Henry passed away. Dean describes his final moments as “beautiful”. 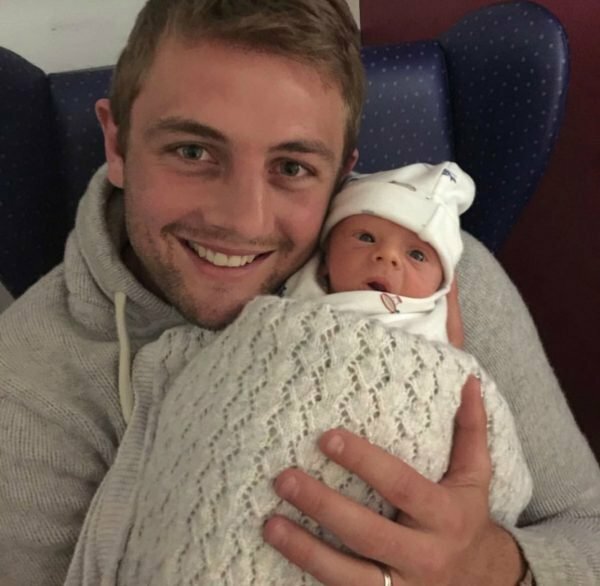 The couple had a funeral for Henry in England where they were based at the time, with Dean’s entire rugby team coming along to show their support. “It felt different this time,” says Dean. "We really were wondering how we’d survive losing a second child. Luckily we’ve supported each other through the grief and have always had each other." Sarah fell pregnant again and had scans every two weeks to make sure her cervix wasn’t shortening. 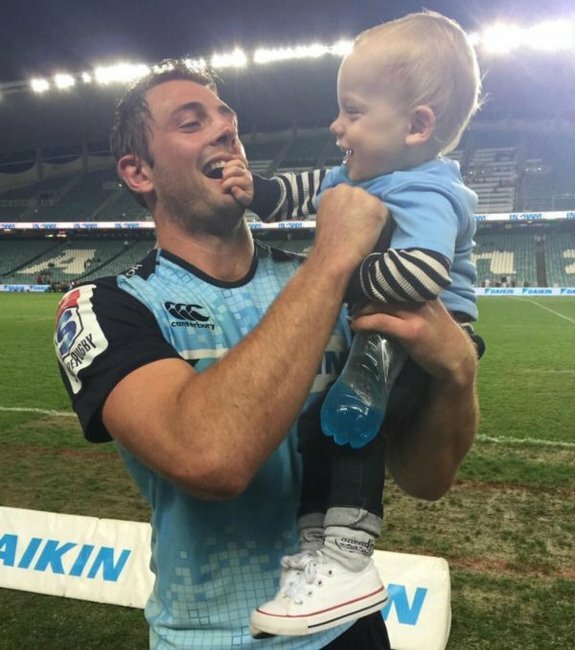 It didn’t help that Dean and Sarah were apart as Dean was playing rugby all over the world. The couple had to contend with being on different time zones as Sarah lived her life from scan to scan. This time, however, Sarah got to 36 weeks. Dean was already back home with her when her waters broke. The couple had been too superstitious to even buy anything for their newborn as they knew the agony of losing two babies. Alfie, now 3, was born via C-section and was in special care for six days because he had wet lungs. But he got better. Proud Dean with Alfie. Source: Supplied. Little Alfie was two when Sarah fell pregnant again. Dean and Sarah already felt the risks acutely but their hearts sank when they discovered they were having identical twins, which came with new complications. The twins had ‘twin-to-twin syndrome’, a rare condition where one twin ends up with all the amniotic fluid and the other with none. If left untreated, both twins almost certainly die. The treatment is risky - an endoscopic laser ablation of placental vessels that’s got a 75% chance of one twin surviving. But the night before Sarah got the procedure, and at 20 weeks pregnant, her waters broke. 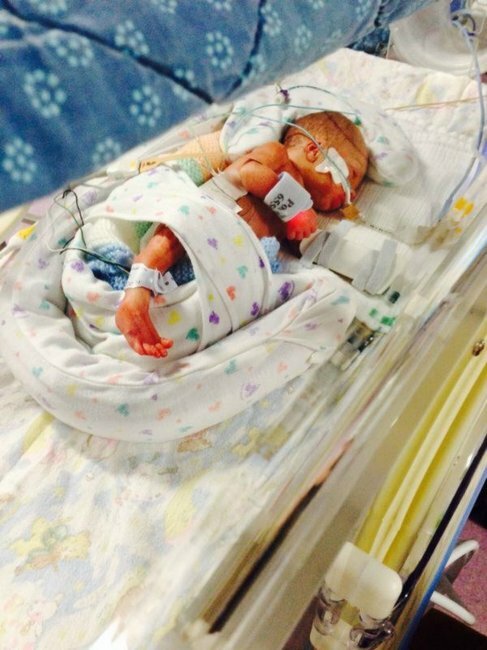 Baby Grace was stillborn and baby Ella survived for 25 minutes. “It’s unfathomable - sometimes I still can’t believe it happened to us,” says Dean. “Four dead babies. You wouldn’t believe it if it happened in a soap opera. While Sarah was pregnant with Alfie, the couple had been put in touch with Professor Mark Johnson, who founded the Borne Foundation, a medical research charity identifying the causes of premature birth to save lives and prevent disability. They were shocked to learn there have been no new treatments to prevent premature birth in 50 years. Dean and Sarah have now tirelessly dedicated their time to supporting the Borne Foundation, and are ambassadors for the Borne-HMRI collaboration which supports pioneering research into the prevention of preterm birth. Building strong support networks and actually talking about loss is something else the couple is passionate about. “The more we can build communities and try to ease anxiety and stress the better," says Sarah. “I’m talking long-term support too. I don’t know if my son will need extra support knowing he had four brothers and sisters who didn’t survive. “What we’ve noticed is it that it’s generally not acceptable to talk about. But we need to talk about it. I’m so happy if someone texts me on one of their birthdays. “I have five children and I delivered those five children." The couple will never stop thinking about any of them. “Sophie will never stop being our first child,” Dean says. “And Henry was our little old man. We spent a long time looking at him in his incubator and memorising his face. He really did look like an old man when he’d raise his little eyebrow. "Our Ella and Grace got to spend their whole lives together. Borne aims to reduce prematurity, to make a difference between life and death, and a healthy life and disability. The organisation aims to help millions of children and their families around the world through focused research that can be translated into clinical solutions. Together, Borne in the UK and the Hunter Medical Research Institute (HMRI) here in Australia unite world-leading researchers in the quest to identify the causes of premature birth. The Borne-HMRI collaboration is a multi-year effort to fund a Borne Research Fellow in Australia who will work with HMRI to carry out pioneering research into the prevention of preterm birth. Prematurity is the number one cause of infant death and disability worldwide in children under 5 years of age. Preterm birth is on the rise. Every minute 29 babies are born prematurely. Every year 15,000,000 babies are born prematurely, 1,100,000 will not survive. The causes of preterm labour are still unknown. An Australian study estimated the cost of neonatal care in NSW to be $380.5 million dollars per annum.